The Academy of Motion Picture Arts and Sciences announced 145 original scores are eligible for this year’s Oscars – but the score from the hit science fiction movie Arrival is not one of them. The most prevalent pre-existing music in the film is an emotional piece by composer Max Richter called “On the Nature of Daylight,” which also featured prominently in Martin Scorsese’s “Shutter Island.” It was determined that there would be no way for the audience to distinguish those cues, which bookend the film, from Johannsson’s score cues. Richter’s piece bookends Denis Villeneuve’s film, underscoring the Amy Adams sequences at the beginning (for nearly three minutes) and the end (for five and a half minutes). 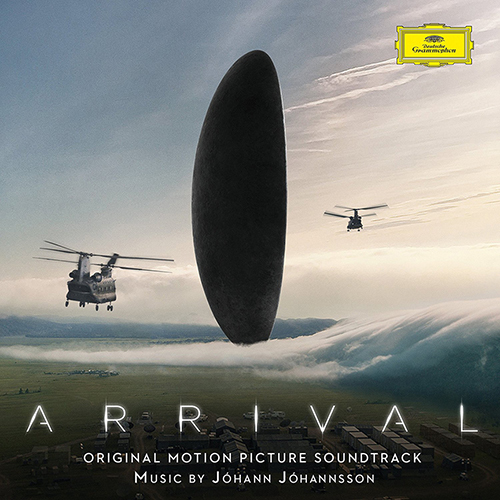 According to Johannsson, editor Joe Walker used the Richter as temporary music, and cut the opening sequence to it. “It was always the intention to replace it,” Johannsson explained, as nearly always happens with temp music in a film. “I did several attempts, but I didn’t want to emulate that [Richter’s] sound. I wanted the opening music to have a correlation with the rest of the score. So I composed a piece for a cappella voices, which ultimately didn’t make the cut.” …The same piece was used prominently in Martin Scorsese’s Shutter Island (2010) and appears in at least three other films. I’m sorry, but this is absolutely infuriating….it’s the Birdman problem all over again. It’s obviously now time to clear out the Academy Music judging branch and start over with a younger generation that understands the value of hybrid scoring…you guys have lost your minds and are completely out of touch. The rules are ridiculous. Johannsson writes over 55 minutes of some of the most moving and fresh film music of the whole year and the committee rules “that the credited …composer did not write significant and prominently featured music in the film.” That’s just not true! His score is clearly and prominently featured throughout the film. Look guys, modern filmmakers don’t work in the traditional way and might include some additional pieces of music the composer didn’t write…just like they include licensed songs for key scenes in a movie. Judge the score for what it it is. That’s the current reality of filmmaking, is absolutely absurd to punish the composer over this reality….it’s time to adjust the rules to recognize how films are made now. The Oscar eligibility issue has not interfered with the director-composer partnership — Johannsson is currently writing music for Villeneuve’s next film, Blade Runner 2049. This entry was posted in Like Show Business and tagged Academy Awards, Eric Persing, Oscars by Mike Glyer. Bookmark the permalink.